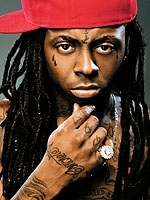 Rapper Lil Wayne (real name: Dwayne Carter) is taking full advantage of his chart-topping position, according to his 2008-2009 tour rider, excerpts of which you'll find here. The performer, who gets half his six-figure fee in cash before a show, demands that he be lodged in the "Presidential Suite" of a "5 star hotel." His room must be at least 1000 square feet, and the living room and bedroom have to be separated by a door. Promoters must also be prepared to provide a "chartered Lear JET" for Lil Wayne and his entourage. The performer's dressing room needs to be "without oder" and stocked with two bottles of Hennessy cognac ("XO Only!!!"). He also requires two bottles of Perrier-Jouet champagne, though his people need to brush up on the spelling of "Perrier."